With two students in high school, I am always looking for easy to use computer based programs to help me teach. Both Turtlegirl and Tailorbear are studying health and nutrition this year so I was excited to see the list of homeschool subjects offered from Standard Deviants Accelerate. Nutrition is one of the many Standard Deviants Accelerate Homeschool Courses that we chose. Standard Deviants Accelerate (SDA) generously provided us with access to all the subjects they offer! So in addition to Nutrition, I also set up several other subjects. Tailorbear worked through some of the SDA Chemistry as a supplement to finish up her Integrated Physics and Chemistry course. She then switched to using SDA Biology to supplement her current Biology course. We’re also looking at supplementing her American History course with the SDA U.S. History subject. In addition to their Core Curriculum Subjects SDA also offers AP Subjects to prepare for the AP Exams. We did not use any of the AP classes yet but I am considering adding some such as Chemistry and Government to Turtlegirl’s schedule. Each of the core curriculum subjects that we explored used the same basic format or layout. Each subject is broken into chapters and the chapters are divided into topics. I assigned one topic per lesson. The topics have 4 to 5 activities. The first tab is the main lesson. This is the video that presents the topic information. Students watch the video but are encouraged to read along with the transcript. I like having the transcript. The videos are not just boring lectures. It’s not just a person presenting the facts. There are little skits and characters. My daughters and I don’t care for the silliness of the skits such as the fortune teller who introduces the vocabulary for the topic in Biology but overall the videos are informative and help with retention. The second tab is vocabulary. This is interactive. You can read the vocabulary yourself or add a layer to help with retention by listening to the word and it’s definition. This is fabulous for students who learn best by hearing. For those who might be distracted by the audio, they can skip it. I think it is best to use both the audio (listening) and visual (reading) to learn the vocabulary. Most (but certainly not all) of the topics include a Diagram tab. The program keeps track of how many tries it takes to accurately complete the diagram. In this case the lower the score the better. I think the diagrams are my favorite activity. The next tab is Quiz. All that I have seen are multiple choice. If you answer wrong, you’ll have the opportunity to watch a clip that explains the correct answer. The final tab is labeled Written Answer. The Nutrition course is listed for grades 6+. As I am using this as a supplement, I am ok with the fact that it is not geared specifically for high school. Again with Biology, it is listed as for grades 7+ but since it is a supplement I think it is ok to use with my 15 year old who is studying high school biology. Chemistry (grades 9+) is spot on for my daughter as a resource and supplement for high school chemistry. This does appear to be designed with a classroom in mind so some adaptation for the home school will be necessary. Each Chapter has a group activity. We just skipped those. I received a Parent/Teacher account with the ability to add each of my children. Through my account I can add create classes, grade written work, which has rubrics included, check the progress and auto graded work for each student in each class. I can even view all of the materials for each subject that I have set up. The parent account allows the girls to work more independently while giving me the opportunity to still keep them accountable. Personally, I disliked the video format. Although some bits were “cute” and clever, I disliked much of it. However these videos are packed with simple information. One of the things I really liked about the program was the questions. I particularly liked the post-test found in the Chapter Review sections. I don’t dislike the program but I am a more serious person and I take a more serious approach to my education. I would have preferred less of the silly skits. I don't like how informal it is. With that being said, this is a great introductory tool for nutrition. I think it does an excellent job of introducing the basics of the ins and outs of nutrition. Though we didn’t care for the style of the video presentations, overall we do like the program. I think this program is working very well for Tailorbear as a supplement for Biology and for both girls as an introduction and supplement to our health and nutrition course. Right now (through November 15th) home school families can get six months of Standard Deviants Accelerate for FREE. You do need to fill out the contact form and you must sign up before November 15th. Price: Core Curriculum Subjects are $24.95 per month or $99 per year per student. AP Subjects are $14.95 per month per student. NOTE: Available until NOVEMBER 15th! 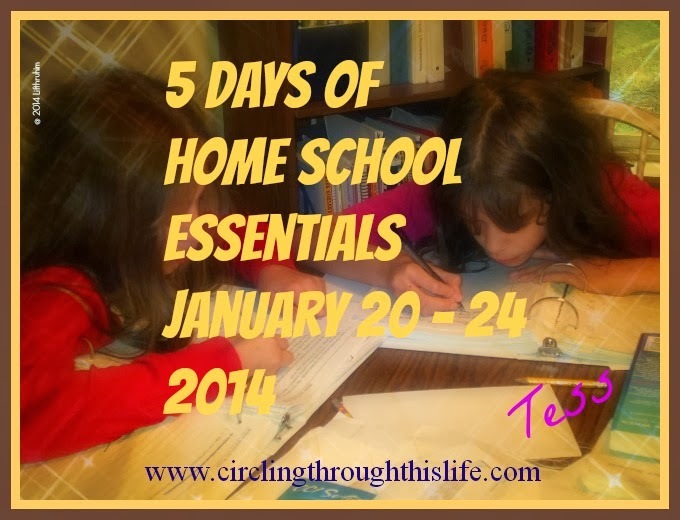 Homeschoolers can get access to all 14 subjects for 6 Months FREE. Includes one parent account and up to 4 students. You must sign up by November 15th. Visit the Schoolhouse Review Crew blog to read what others have to say about Standard Deviants Accelerate.